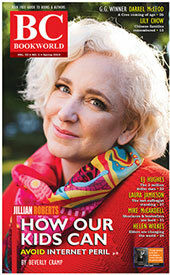 History professor emeritus Roderick James Barman lives in Vancouver, married to historian Jean Barman. Princess Isabel of Brazil: Gender and Power in the Nineteenth Century (Wilmington DE: Scholarly Resources, 2002), 261pp. 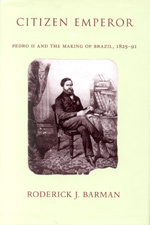 Citizen Emperor: Pedro II and the Making of Brazil, 1825-1891 (Stanford CA: Stanford University Press, 1999), 548pp. Awarded the Warren Dean Prize for the Best Book on Brazilian History, 1999-2000. Brazil: the Forging of a Nation, 1798-1852 (Stanford CA: Stanford University Press, 1988), 334pp. "Politics on the Stage: The Late Brazilian Empire as Dramatized by França Júnior," Luso-Brazilian Review 13, n. 2 (Winter 1976), 244-66. With Jean Barman, "The Role of the Law Graduate in the Political Elite of Imperial Brazil," Journal of InterAmerican Studies and World Affairs 18, n. 4 (November 1974), 423-50. "Justiniano José da Rocha e a Conciliaçóo: como se escreveu Açóo; reaçóo; transaçóo," Revista do Instituto Histórico e Geográfico Brasileiro 301 (October-December 1973), 3-32. With Jean Barman, "The Prosopography of the Brazilian Empire," Latin American Research Review 13, n. 2 (1978), 78-97. "The Brazilian Peasantry Re-examined: the Implications of the Quebra-Quilo Revolt, 1874-1875," Hispanic American Historical Review 57, n. 3 (August 1977), 402-24. "Business and Government in Imperial Brazil: the Experience of Viscount Mauá," Journal of Latin American Studies 13, pt. 2 (Nov. 1981), 239-64. "Brazil and Its Historians in North America: The last Forty Years," The Americas 46, n. 3 (January 1990), 373-99. "Brazilians in France, 1822-1872: Doubly Outsiders,"; 23-39 in Karen Racine and Ingrid E. Fey, ed., Strange Pilgrimages: Travel, Exile and National Identity in Latin America, 1800-1990s (Wilmington DE: Scholarly Resources, 2000). It's not likely to appear as an answer on Who Wants To Be A Millionaire or Jeopardy but the most successful ruler in the Americas, in terms of longevity, isn't the macho megalomaniac Fidel Castro (41 years), the Paraguayan dictator General Alfredo Stroessner (35 years) or Canada's longest-serving prime minister, Sir Wilfrid Laurier (15 years). In control of Brazil's public affairs for 49 years, his full name was Dom Pedro de Alcantara Joao Carlos Leopoldo Salvador Bibiano Francisco Xavier de Paula Leocadio Miguel Gabriel Rafael Gonzaga de Braganca e Borbon. The kingdom of Brazil was created in 1815 but it soon fizzled under Emperor Pedro's hapless father. The Empire of Brazil was created in 1822 when Portuguese colonies rejected direct rule from Lisbon. Called to the Brazilian throne at age 14 in 1840, Emperor Pedro II served for almost 50 years as the New World's only monarch, overseeing the growth of Brazil into a stable, wealthy state. According to the constitution, Emperor Pedro was the 'perpetual defender of Brazil... by the grace of God and the unanimous acclamation of the people.' But it was no picnic at the top. Pedro II's two sons died and as a descendant of the ruling houses of Europe, Pedro II had to overcome generations of in-breeding, childhood epilepsy, his abandonment by a weak and irresponsible father and the suffocating company of unctuous subordinates. Trapped in an increasingly loveless and sexless marriage, Pedro II retreated into a self-centred pursuit of reason, eschewing passion. He increasingly viewed the monarchy as a social obligation rather than as a self-glorifying vehicle for power and prestige. Self-described as bear-like in behaviour but attracted to lofty ideals, Pedro II forged his own sober belief in material progress and conservative institutions for Brazil. He venerated literature and knowledge-learning Hebrew, Arabic, Sanskrit and Tupi-Guarani -and believed education was the most solid basis for the civilization of a country. "I have a justice-loving soul,"; he wrote.